5mL of Scott Test in an amber dropper bottle. 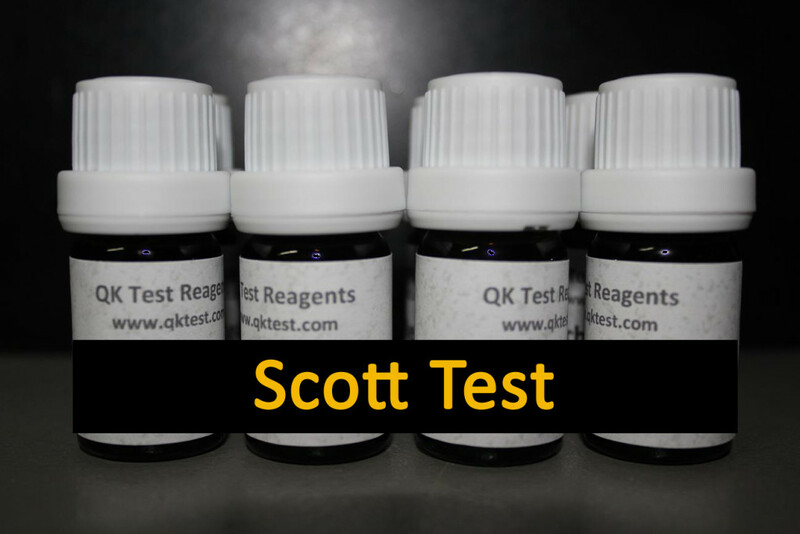 The Scott test is a colorimetric spot test used to help identify organic chemicals and gives a reaction to cocaine, diphenhydramine, lidocaine and others. If the reagent turns from pink to blue, it is indicating a positive test.